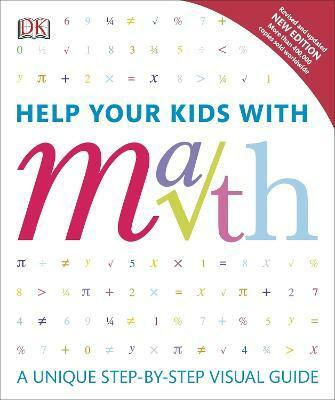 After its publication in 2010, Help Your Kids with Math quickly climbed to the top of DK's bestseller charts. Families were hungry for meaningful math help-not Internet searches and hours of family frustration. The simple, visual approach of Help Your Kids with Math was exactly what parents needed to understand and explain the concepts children use most in grades 3 through 6. Covering everything from basic arithmetic to the more complex subjects of statistics, geometry, and algebra Help Your Kids with Math uses bright, easy to understand visuals and thoughtful explanations to cut through the confusion. DK's acclaimed designers and editors have taken expert explanations and advice and made them appealing to children-and understandable for parents. This newly updated edition includes even more content for parents and their children on challenging topics like fractions, times tables, telling time, and Roman numerals. Barry Lewis read mathematics at university and graduated with a first class honors degree. He spent many years in publishing, as an author and as an editor, where he developed a passion for mathematical books that presented this often difficult subject in accessible, appealing, and visual ways. Among these are Diversions in Modern Mathematics and Help Your Kids with Math. He was invited by the British government to run the major initiative Maths Year 2000, a celebration of mathematical achievement with the aim of making the subject more popular and less feared. In 2001 Barry became the president of the Mathematical Association, and for his achievements in popularizing mathematics he was elected a Fellow of the Institute of Mathematics and Its Applications. He is currently the Chair of Council of the Mathematical Association and regularly publishes articles and books dealing with both research topics and ways of engaging people in this critical subject.